We don't need to explain much about this tape. We talked about it HERE. Now you can walk around and represent one of the most talked about cassette of all time. 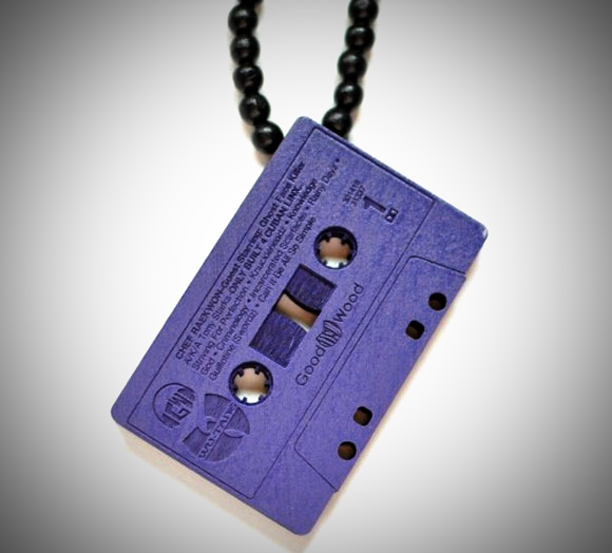 So in paying homage of Raekwon’s classic album, wooden jewelry company Good Wood NYC recently released the “Purple Tape” pendant necklace & bracelet. Both are available at The Giant Peach. Whoa..im sure kings boardshop by my crib will have it..thats were me & the homie Drone pick up our GW pieces! !